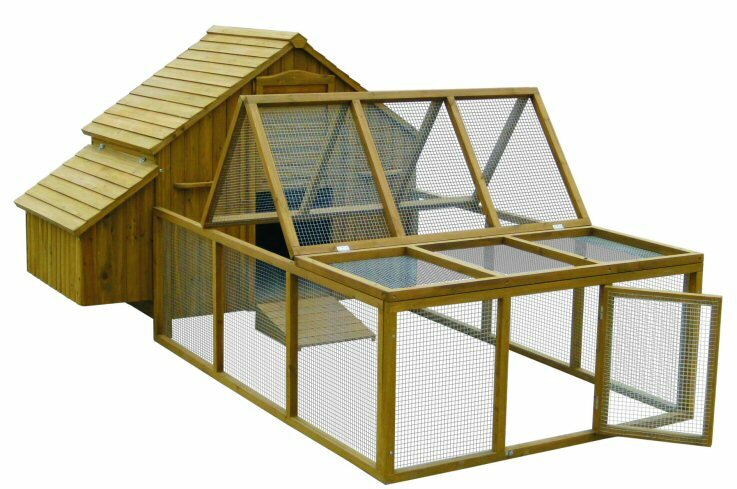 Apex styled Coop with 10 internal perces  and side nest box with lockable stay arm. Whole right side is removable for easy access and cleaning. Grilled  ventilation window to the rear. The run has a large hinged top doorfor easy access and inc ramp. Manufactured using the latest   Technology to encure a easy and  precise build.